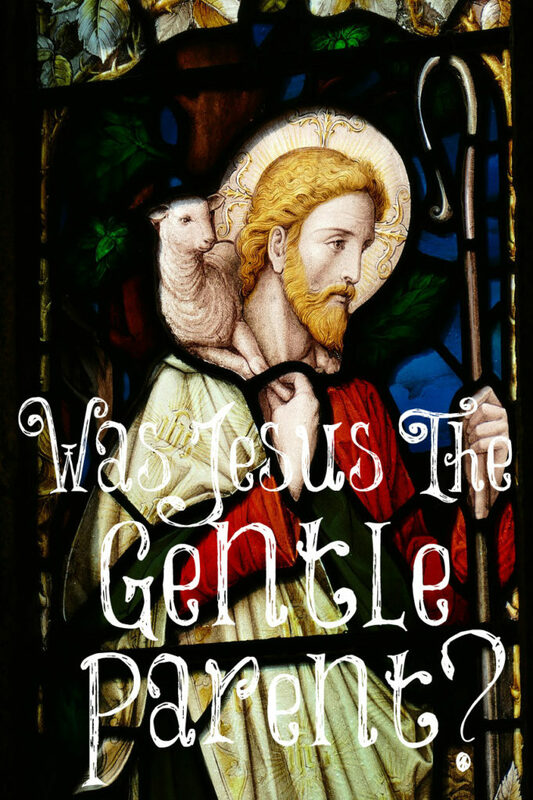 Was Jesus The Gentle Parent? There is a parenting movement called “Jesus The Gentle Parent.” Was Jesus The Gentle Parent? First of all, He was never a parent and didn’t raise children. His purpose was to point people to their need for a Savior. He wanted people to clearly see their sin and that the wrath of God was upon them because of it. If their eye caused them to sin, He told them to pluck it out. If their hand caused them to sin, He told them to cut it off. He took sin seriously. He even told the lame man, “Behold, thou art made whole: sin no more, lest a worse thing come unto thee” (John 5:14). The people living under the Law were fully aware of their sin since they were incapable of keeping the Law. But Jesus even took it farther by explaining to them that they could sin by their thought life. Oh, how desperately they (and we) needed a Savior. Christ came to pay the penalty for all of our sin (the sacrificial Lamb) so that all who believe in Him will have eternal life. Therefore, He isn’t the model for how to parent children. No, He had a much more important role to fill: saving souls from a Holy and Just God’s wrath. God is our example of how to parent since we are His children, plus we are given instructions from Him about parenting children. How does God discipline His children (us)? He tells us in Hebrews 11. “My son, despise not thou the chastening of the Lord, nor faint when thou art rebuked of him. For whom the Lord loves he chastens and scourges every son whom he receives…Now no chastening for the present seems to be joyous, but grievous; nevertheless afterwards it yields the peaceable fruit of righteousness…” (Hebrews 12:5, 6, 11). Let’s examine some of the words in these verses. Chasten means to “correct by punishment; to inflict pain for the purpose of reclaiming an offender.” Scourge means “to afflict for sins or faults, and with the purpose of correction.” Grievous means “afflictive, painful, hard to bear.” You see, God understands the selfish nature of the flesh and that it needs to be trained and disciplined with pain. 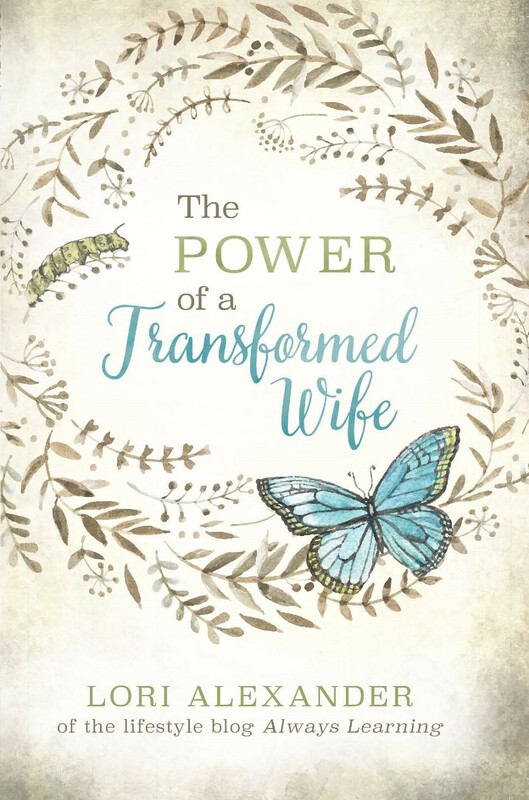 In Proverbs, we are given numerous verses about the power of the rod to correct the flesh. “Foolishness is bound in the heart of a child, but the rod of correction shall drive it far from him” (Proverbs 22:15). Who are we to argue with God or make up a make-believe Jesus? Yes, Jesus was gentle but He also stood strong against sin and He is God. All throughout the Old Testament, we saw how God dealt with His disobedient and rebellious children and it wasn’t gently. Yes, He’s the same God (read Revelation) and He wants children who don’t wallow in sin since it’s destructive and leads them away from Him. “But exhort one another daily, while it is called To day; lest any of you be hardened through the deceitfulness of sin” (Hebrews 3:13). “But every man is tempted, when he is drawn away of his own lust, and enticed. Then when lust hath conceived, it bringeth forth sin: and sin, when it is finished, bringeth forth death” (James 1:14, 15). Ultimately, all who don’t repent and believe will experience God’s wrath which is eternal damnation. If He takes sin seriously, so should we. If He uses pain to deal with our sin, so should we with our children. We have a flesh that is bent towards sin as we see in our children from a young age and we battle within ourselves. Pain is a great teacher. All throughout the Word, we are told about the benefit of pain and suffering and how it refines us and make us more like Christ. When we spank our children on their bottoms for rebellion or slap their hands when they are young, we are teaching them self-discipline and are training their flesh to not sin. Yes, it hurts but it doesn’t harm them in any way. This has absolutely nothing to do with physical abuse. It’s not done in anger but in deep love for the children’s welfare, future, and eternal soul. My One and Only for 37 Years! You are so right about this, well, God is:). That is why I love the Pearl’s book To Train up a Child”. I was with my sister this last week for Christmas who I do not get to see much and we were trying to visit. Her child who they don’t believe in telling no was such a disruption that I finally had to walk away and that was our only chance to visit. I was not going to sit there and be slapped etc. by a four year old “baby”. She spent most of the evening wrestling with her child while alll the other children played and the adults visited. I felt so sad for her for now and for what is to come. Congratulations on 37 years. I read your blog daily and reread post frequently for encouragement. Thank you, Shelley. I don’t understand this whole parenting movement of not saying “no” to children. God tells us “no” about many things because they are harmful for us. I love the Pearl’s book even though it has gotten a lot of bad publicity. They clearly understand the need to train the flesh and rid it of the stubborn rebellion. Yes, it usually comes to a head where the parents must be diligent about exchanging the stubborn, rebellious will with one that wants to do what is right but oh, it is so worth it! Raising children then becomes a pleasure instead of a battle. When I was 18, I had a nanny job where I was not allowed to say no to the children. The parents gave them, and let them do, whatever they wanted. The word “no” was not heard. I can tell you honestly, that the job was a nightmare. The mother wanted us to go for a walk every day, but when you have 3 kids under 3, and a pregnant mum, and the kids don’t listen when you tell them walk nicely, and they run out on the road in front of cars, and they don’t stop when you tell you to when it’s time to cross the road, it’s incredibly scary, and very dangerous for them. I only lasted a couple of weeks at that job, as I could not be responsible for a child getting killed by a car while under my watch. I did not keep in touch with that family so I have no idea how they ended up doing, but if those children are all still alive today, I’ll actually be really surprised. For their own safety, if nothing else, children must be taught to obey! Years ago, I mentored a woman who would not say no to her child and it was horrible! The child ruled the home and made everyone’s lives miserable. I can’t understand what parents are thinking and these were Christian parents. Our children are way to precious to raise according to the “wisdom” of man who has himself only spent a moment upon the Earth. God is so gracious to us to tell and to show us how to raise our children so they can be with Him eternally. Those who refuse to listen to God and withhold the rod truly do hate their children because they are not showing their children God’s ways for living. They are not trusting that God’s ways are best, either, which sadly is devastating for way too many children today. God’s is so clear about how we should train our children; Ant and I didn’t read anyother book than the Bible on rearing our children and both have grown up to love God and His Word! Even our son who has Autism, Epilepsy, Braindamage…to name a few things loves God with all his heart. Our daughter and son in-law – or as we call him our bonus son both seeks God in everything together! What more can parents want – God’s ways are best! My daughter rung me the other night just to say “mama God is so good – don’t you think” she got a high score in her UNI degree and gave God all the glory for it – God truly is so wonderful He amazes me so much everyday. Lori it saddens me how so many Christians don’t see that Jesus called people out on their sin and then told them to sin no more. I think it is so sad that we are living in a day when people think that Jesus not only accepts sin but also condons it and understands that we are feeble sinners who can’t help ourselves – which is not true we have the Holy Spirit in us living and abiding in us we can with God’s help and strength stop living in sin if we lean hard on God and trust His precious Holy Word. You’re so right, Jilly! Man’s ways are foolishness to God and His ways are perfect. It sounds like you’re one blessed mama. Yes, this will take much prayer and wisdom, Alexandra. It must be very difficult to know how to discipline children such as yours but continue to be consistent with whatever form of training and discipline that you and your husband deem as best. I am not against spanking, but in all seriousness what could a child that can’t walk, talk or do anything for themselves do that would require a punishment? Constantly grinding her teeth, chewing her tongue until it bleeds, sucking her thumb until it cracks bleeds refusing to eat her food for no good reason other than being in a foul mood etc. She is allowed to be unhappy. But when she starts letting everyone know about it and acts miserable all day its unnaceptable. We always search for a reason, (in pain,thirsty,hungry,tired,too hot, too cold, dirty etc) and if no good reason can be found it needs to be dealt with immediately. Thank you and Happy New Year to you, too. It’s wonderful to hear that there is order and consistency in your home now! Yes, God’s ways are best.